Derek “MixedByAli” Ali, disciple of Dr. Dre, Top Dawg Entertainment resident engineer, and longtime mixing engineer for Kendrick Lamar and other hip-hop greats (Snoop Dogg, Jay Rock, SZA and more), isn’t just great simply because of his work on one of the most prominent genre-bending records of all time (Kendrick Lamar’s “To Pimp A Butterfly”). It’s Ali’s dedication to supporting the youth of the recording engineering/pro audio community, which reveals a depth of humanity and artistry that truly cements him as a giant in his field. NAMM: What guidance do you have for someone just getting started? Derek Ali: Ask yourself, what’s gonna separate you from them? As engineers, we’re at the bottom of the totem pole, and we’ve gotta show our worth. It all starts with passion; if you don’t have the passion, you’re doomed. I recommend to understand what’s expected of you and what the task holds. Engineering is such a niche field. It takes a lot of groundwork—a lot of working for free and doing favors. You’ve gotta show people that they can depend on you before you can get one of these major gigs. So, take the time to ask yourself if you've got the drive, if you’re willing to sacrifice all kinda things, including time, to become an engineer. Along those lines, what do you say to someone not willing to work for free? DA: It puts you in a box. Internships are jobs where you work for free. Unless you’re skilled to a point where you’re already working with an artist and getting paid that way, you've gotta do it. That’s a similar way to how I came up. Working with Kendrick, he wasn’t always signed. He wasn’t always making money. It took us years and years and years of sacrifice, recording for free. Know that there’s a light at the end of the tunnel. It just depends on the route you're taking. If you want to go the school route: you go to recording school and come out with a certificate, then, at that point, you can become a studio runner and do all that. But what I preach mostly, is to put the work in now. Take that one step back to take two forward. And, if you can only charge, $50, do it. Slow money is always better than no money. Just know the value of experience. Take the free gig so you can get to the point where you can charge. The only thing separating you from everyone else in the room is your work ethic. What's that phrase? The five P's? Proper Preparation Presents Proper Performance. Since you came up with an artist, do you recommend networking and finding a single artist to grow with, or should you develop a portfolio of artists? DA: I definitely believe you should work with a couple artists with different vocal ranges, tones. A couple artists that sound different, maybe different genres. That way you get your 10,000 hours. I really believe in that. And then you get that experience first hand, rather than going to school first and getting the knowledge then going to work. I always preach that no one can teach you how to hear something. The best teacher is trial and error. The best trial and error is getting with an artist early, perfecting your craft at the same time that they’re perfecting their craft. Then, you create a sound together. Talking about engineering skills, do you feel the same way about mic technique? Is it trial and error or do you have a go-to tool kit? DA: I have a go-to, nowadays, for different artists, for different vocal tones. By working with the same circle of artists for so many years, I’ve acquired certain vocal chains that I have as starting points to kinda jumpstart the process. But, think about it. There are thousands of pieces of gear. If you have that available, if you have it at your arm’s length, use the tools. Try it. Try different things on different vocals. Go through every plug-in you have and learn what each does. Try different settings, preamps, EQ, use the room. What kind of ways do you like to use rooms? DA: I like to layer vocals. I’d use a [Neumann] U 47 for a warmer tone, then use a [Sony] C-100 right on top of it and record them both coming in. I record outside of the booth. I’m big on recording things in the control room right beside me. Just stuff like that, try to step outside of the box. The studio is just a template to create. Take that template and find out what works for you. When you’re tracking in the booth are you monitoring through speakers and cutting bleed with placement or polar pattern? DA: Nah, when I’m in the booth, I’m for sure monitoring through headphones. I’ve seen videos of guys like Anderson .Paak recording with Dr. Dre, and they’re tracking with the monitors on. I’ve always wondered—I’m sure some young guys have too—if that’s how those sessions are really tracked. DA: No, that’s just for the footage. That’s not possible at all. That’s the Hollywood of the audio industry, right there. You know what I’m saying? Recording with one headphone on, spitting at the mic. So what people see on YouTube or Instagram, that’s not necessarily the heart of what you’re actually doing in there? DA: Nah, it’s post-production. They’ll already have the song recorded and mixed, then bring the artist back in for the camera. Even TV shows and stuff like that do it. I was watching that show "Empire" on Fox, and they have a lot of scenes recording in the studio, and it’s always a fully mixed track as they’re recording. A lot of the public thinks that’s how the vocals are supposed to be coming out of the speakers. That kinda gives a false perception of what engineering really is. All of these TV shows and media outlets are just showing—they’re making it look like the actual process, but they’re playing back the final product. So, is the engineer's work overlooked? DA: A hundred percent. Like I just mentioned, on the show "Empire," they have the artist go into the booth and make it seem like he was just recording his verse, and it sounded fully mixed already. So, on the engineer side, it makes our job look like it’s nothing—like we’re just sitting there and it’s all on the artist. And that’s not taking nothing away from the artist, but don’t take nothing away from the engineer also. A lot of these artists wouldn’t sound the way that they sound if it wasn’t for the engineers. DA: Yeah, what are you doing something for if you don’t want it to be the best? You know, nowadays, the quality of music is dwindling down so fast. I’m trying to hold on to it for dear life. And I’m not gonna compromise for nothing. That boils down to what I preach: if you don’t take the time to make this record sound the best it possibly can, give it to the next person who’s willing to do it. Where does that passion come from? Is it internal or did your mentors help build up that sense of work ethic? DA: It’s the whole field just not being respected for what it really is. The amount of work we put into it, versus what the public knows… there’s a disconnect there. I’m not appreciating what’s going on. Even something as simple as Spotify not putting the engineer’s credits on their platform. That doesn’t sit well with me. I sit there for weeks at a time mixing records and songs, and I’m an advocate for our industry's recognition. We deserve our just due. There are so many records that wouldn’t sound how they do. I’ve heard the before and after. I’m telling you, half of these guys aren’t even getting credited properly. So, we all need to stand up. Is there anybody that you’re influenced by sonically? DA: You’re only as good as the people around you. There’s a lot of dope engineers nowadays—Fabian [Marasciullo], Neal Pogue—there’s a lot of dope engineers creating dope sounds. I still model myself off of the old school stuff from the analog days. I still listen to old Dre records and old Outkast records and try to find inspiration from there and take it into the new school. My whole thing is adding my own twist. My biggest inspiration for “To Pimp a Butterfly” was “Abbey Road.” There were no rules back then, so why should there be any rules now? Do whatever sounds good to you! You’re an SSL guy, right? DA: Yup. I learned that from Dre. Me and him were mixing the early Kendrick records. He taught me the board in and out. I took what I knew in the box and merged it with the analog. What was it like mixing side-by-side with Dre? DA: It was humbling. Of course, it was intimidating. But, it was more of a learning process, like a kid in school—being able to have the opportunity to ask questions like why this and why that. Dre gave me patience. Say that somebody’s looking at their first mix, and they have fifty tracks lined up. Where do you think they should start? DA: Start by organizing. Find out where everything is. Listen to everything soloed once, just so you know where it all lays. The opening track for “To Pimp a Butterfly,” “Wesley's Theory” had 218 tracks. It’s all about taking care of your files; getting it sorted, so you know where things are and how to manipulate them. A mix is like a house. Start with the foundation. For me, that’s the drums. Then I go through a process of soloing certain things, checking out the vocals, it’s a whole thing. Soloing the drums, soloing the drums and vocals, it’s a whole process. I go through track-by-track and find the problem frequencies. You can do this by taking a parametric EQ, like Pro-Q by Fabfilter, and surgically killing them. Effects are the fun at the end of the mix. Get everything sounding great without them, then experiment. This is actually what I talk about at my Seeing Sounds workshops and at the EngineEars booth at NAMM. We’re on tour, started January 13, and we’re doing mixing-workshop master classes. At NAMM, we’re going to do a mini-version of my full-length workshops that we’re taking across the country. It’s a great way for people to check out the process and see how I break it all down. Mixing is basically simple: add what’s missing and take out what’s too much. It’s not about gear. It’s all about who’s pressing the buttons. If it sounds good, it is. Don’t feel like you have to put a plug-in on everything. Don’t process just to process. Perfect all transitions; make sure everything is consistent and flows. Use the power of parallel compression and effects; don’t feel like you have to use too much. Sometimes, a touch of several compressors is better than slamming one compressor. Use your ears! Build a brand for yourself. The artist builds a brand, why shouldn’t the engineer? Respect everyone. As quick as you get to the top, it can all be taken from you. Visit EngineEars at The 2019 NAMM Show in the ACC North, Booth 15128. 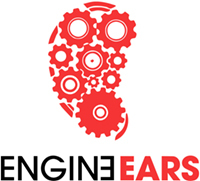 EngineEars, an online mixing service designed to partner musicians with independent audio engineers from around the world. Though the site is still in the alpha stage, it provides a cost-efficient option to ensure that an artist’s song is getting the quality treatment it deserves before hitting streaming sites. While preparing to reach their beta stage, EngineEars developed “Seeing Sounds,” an intimate series of conversation to help guide the sound of tomorrow through inspiring lessons and stories from Ali’s experiences, followed by an in-depth mix deconstruction segment where Ali dives deep into his mixing techniques, showing the audience a step-by-step walkthrough of his mixing process. 4 pm – Behind The Sound Of TDE w/ Sounwave (Kendrick, SZA, Jay Rock) and Derek ‘MixedByAli’ Ali.